ATTENTION: Many of the “top pre workouts for women” lists you find online are written by people with no in-gym or supplement experience. In fact, these pre-workout lists are not written by women, or even use a female’s input. These lists are written by content writers that are paid to write an article that will help a website generate money. Their rankings are influenced by brands who pay for placement and contain pre-workout supplement recommendations that are, for the lack of a better word, GARBAGE​. The ladies on the Fitness Informant team used each and every pre-workout on this list. We also consulted with many women who have used these products before ranking them. After all, it wouldn’t really make sense to have this article written without their input, right? Women don’t necessarily need different pre-workouts than men. However, women seek different benefits and experiences with their pre-workout supplements. The list provided here takes a woman’s concerns into consideration. It also looks past any myths that may face women and ingredients (i.e. creatine), as well as disclosing certain ingredients that may be harmful to women. Stop relying on faulty information. If you’re a woman looking for a pre-workout that you can trust, this is a great place to start. Here at Fitness Informant, we don’t steer you wrong. You work hard for your money. Your supplements should work hard for you. Why Should Women Should Use A Pre-Workout? What Should Women Should Look for in a Pre Workout Powder? When we review each pre-workout supplement on their ingredient profile, we look at the ingredients used and the dosage they are being used at, specifically ingredients that benefit women (mentioned above). We look for pre-workouts to include a clinically effective dose of key ingredients. Effectiveness is an extension of ingredient profile. If the product uses proven ingredients, that women look for, at clinically suggested dosages, then typically the product should be effective for women. ​Pre-Kaged by Kaged Muscle Supplements would make any top pre-workout rankings list, men or women. The formula alone is effective for those who enjoy stimulants and even those who don’t. Pre-Kaged is going to include effective doses of key ingredients aimed at improving energy, pump and focus. Pre-Kaged is going to include clinical doses of key ingredients that women should look for in a pre-workout. We talked about it before, but women should seek out ingredients that are going to help them achieve their goals in the gym. Most of the time, this goal is to tone up. Pre-Kaged doesn’t include any “grey” market ingredients, something found all too-often in this industry. With Pre-Kaged you are going to get a nice clean, natural energy, a solid pump, increased endurance and laser focus at a good value. Spending under $40 for 20-servings of a super effective pre-workout makes this our #1 rated pre-workout supplement for women. Kaged Muscle Supplements is owned by Kris Gethin. Kris Gethin is a man who has worked with many women in the gym. He knows the human anatomy and how it works, man or woman. He knows what is needed to fuel an effective pre-workout. Kaged Muscle believes in clinically dosed supplements with transparent labels. They believe in the consumer, and you should believe in Kaged Muscle. Check out our full Pre-Kaged review here. Kaged Muscle Pre-Kaged is going to be a top rated pre-workout supplement for women or men on many media platforms. Pre-Kaged encompasses ingredients that women should seek out in a pre-workout, and they are dosed appropriately for women to produce effective workouts. Pre-Kaged comes in a variety of flavors to appease the masses. By supplementing with Pre-Kaged you are being a responsible woman who cares about her overall goals. Go out and get it, you won’t be disappointed. PRE Stim Free from NutraBio is not only the #1 ranked stim-free pre-workout on Fitness Informant, it makes our best of list for pre-workout suppelements for women. Honestly, this could be #1 as well, but we gave the nod to Pre-Kaged due to the inclusion of caffeine. If you have issues with stimulants, as many women do, then PRE Stim Free from NutraBio should be your go-to. PRE Stim Free is going to include key ingredients that contribute to overall energy, pump and focus…all without using a single stimulant like caffeine. One of the best parts about Stim Free PRE is it uses clean ingredients at clinically effective doses. Being ranked one of the best stimulant free pre-workouts in the world requires such. If you’re a woman, or man for that matter, looking for a stimulant free version of an effective pre-workout supplement, look no further than PRE Stim Free from NutraBio. NutraBio makes some of the best products on the planet. Hands down. NutraBio PRE Stim Free is the best stimulant free pre-workout on the planet that we’ve tried. It can be #1 on anyone’s list, including this list. If you’re a woman that has any issues with stimulants, then you should select Stim Free PRE from NutraBio. You will get an effective pre-workout that improves your overall energy, focus and gains! K-XR by VMI Sports has been a pre-workout commonly recommended to women looking for a pre-workout supplement because they typically ask for a pre-workout that tastes great. K-XR is not only a great tasting pre-workout, but also a highly effective pre-workout supplement. Outside of being a proprietary blend, which we’re not huge fans of, K-XR delivers on taste, energy, pump and focus. In fact, K-XR is one of our favorite tasting pre-workouts. As we mentioned above, K-XR provides more than just great taste. K-XR is going to be the most effective at energy production of the list. Packed with 400mg of caffeine, this isn’t for the weak. K-XR also provides solid pump, endurance and focus. If you’re looking for the best tasting pre-workout that produces results, K-XR is it. VMI Sports was a brand formed in 2012 with sports nutrition experts with a commitment to creating products that really work. They have a wide variety of products that cover the sports nutrition world ranging from pre-workouts to pump to proteins. The leaders behind VMI Sports have served many various roles in the sports nutrition industry including the minds behind Lone Star Sports (distributor). You can read our full review of K-XR here. Although we are not fans of the proprietary blend, there is no denying that K-XR works. Women love it. Men love it. It tastes great, provides intense energy, aids in pump and enduranc…what more would you need? If taste is your main go to, but also want a pre-workout that is going to actually work, K-XR from VMI Sports will be a great selection. Our only warning is with 400mg of caffeine, you may want to cautiously dose to start and judge from there. This list is in no way meant to discriminate women from men. Women can take the same pre-workout supplements as men. In fact, many women do. However, when looking at pre-workouts for women, we need to take into consideration many women’s reaction to certain ingredients. Some of the pre-workout supplements may have too many stimulants for your average woman, while others may have too much Beta Alanine that most women don’t enjoy. With that said, women should be taking a pre-workout supplement. There are so many benefits to pre-workout powders. Benefits include energy, focus, endurance, strength, etc. Pre-workout supplements are not made just for men. They are made for everyone and anyone who has a passion for the gym. This is a pre-workout at the end of the day. You’re going to get an increase in energy from caffeine and other stimulants used for energy purposes. This is the #1 reason most women take a pre-workout…because they lack energy. Women like to lift for muscular endurance. Certain ingredients, when dosed correctly, can provide women with better endurance. This allows them to lift more reps or achieve longer distances when doing cardio. Many women want to tone up but not build a muscular physique. They fear that if they build muscle that they may look like a man. One thing a pre-workout can do is improve your strength, which helps tone your body and burn fat. Let’s be real, our minds run a million miles a second. We’re constantly checking our Instagram and our texts to see what’s going on in the world. A solid pre-workout supplement can provide women with the focus they need to stay-on-track at the gym and leave the outside world for an hour. Why would a woman want to achieve a pump? Isn’t this a man thing? Listen, women and men both need pumps as it aids in strength and muscle recovery. The more blood flow in your muscles, the quicker they can heal and recovery. No one wants to be sore! Contrary to our first bullet point, more women than men have issues with caffeine. A stimulant free pre-workout removes caffeine and provides energy by utilizing other ingredients. Women and men seek different results in the gym and seek different types of pre-workout supplements to help them achieve those results. No, women are not to be discriminated against from men. At the end of the day women and men can take the same pre-workouts. Many of the pre-workouts you will find on our Best of list for Women guide will contain products also found on other guides (Like our best pre-workouts page). Caffeine: this is the king of stims (stimulants). Various forms of caffeine are the most popular ingredients used in pre-workouts. Caffeine provides energy that most women seek in a pre-workout powder. Effective dosages are between 150mg-300mg. L-Citrulline: women should seek out a solid pump from their pre-workout supplement. L-Citrulline helps facilitate blood flow into the muscles to aid in muscle repair and recovery. Effective dosages of L-Citrulline are 3-5g of pure Citrulline or 6-8g of a Citrulline mix. L-Tyrosine: focus, focus, focus can be the central point of many pre-workout supplements for women. We’re so connected to the outside world that we are distracted when in the gym. L-Tyrosine is a cognitive enhancing ingredient typically dosed between 1-2g. Taurine: strength gains are just as important for women as they are for men. The more strength you have, the most muscle you can build to tone up. The more muscle you have, the more fat you can burn. Most women want to be lean and tone. Taurine can help with that. Typical dosage of Taurine is 1-2g. Creatine: wait…what?! Yes, creatine. Creatine helps with strength gains as well. Most women don’t realize this, but they too should have creatine in their supplements. Most women won’t buy creatine, so including it in a pre-workout is a solid option. Creatine dosage depends on the form of creatine being used. Betaine: used for endurance and strength output, Betaine is a useful ingredient used in pre-workout supplements for women and for men. Dosage of Betaine should be between 1.5-2.5g. Beta Alanine: this is the ingredient that gives you the itchy feeling, but also aids in endurance and strength. The majority of women do not like the feeling Beta Alanine gives them. I have heard this many of times. Beta Alanine is still an important ingredient, but the dosage may be adjusted for women. The clinical dosage of Beta Alanine is 3.2g…the ones on our list may come in less. This completes our rankings for the top women’s preworkouts this year. The products listed above earned the right to be showcased based on their ingredients, effectiveness, taste, mixability and value to women in general.  Stay tuned to Fitness Informant throughout the year for updates as new products are tested and reviewed!